I love a good Instant Pot Chicken Recipe and something I always have on hand is chicken and my Instant Pot of course. Chicken is one of my favorite things to make in my magic machine, it is so easy and super moist. There are so many great recipes out there, so I decided to put them all in one place with this post for 36 Instant Pot Chicken Recipes. In this post, you will find everything from pasta recipes to amazing casseroles. One of my favorites is the Copycat Hidden Vally Ranch Seasoning, I love to make it using my Copycat Hidden Vally Ranch Seasoning. The great thing about the instant pot is you can throw your meats in frozen and it comes out just as amazing as if it were fresh. Just think about when you forgot to thaw out meat for dinner. Right, it’s the worst! But not anymore with your Instant Pot. The beauty of Instant pot chicken is that chicken can create its own juices, so for most recipes, you won’t need as much extra liquid. 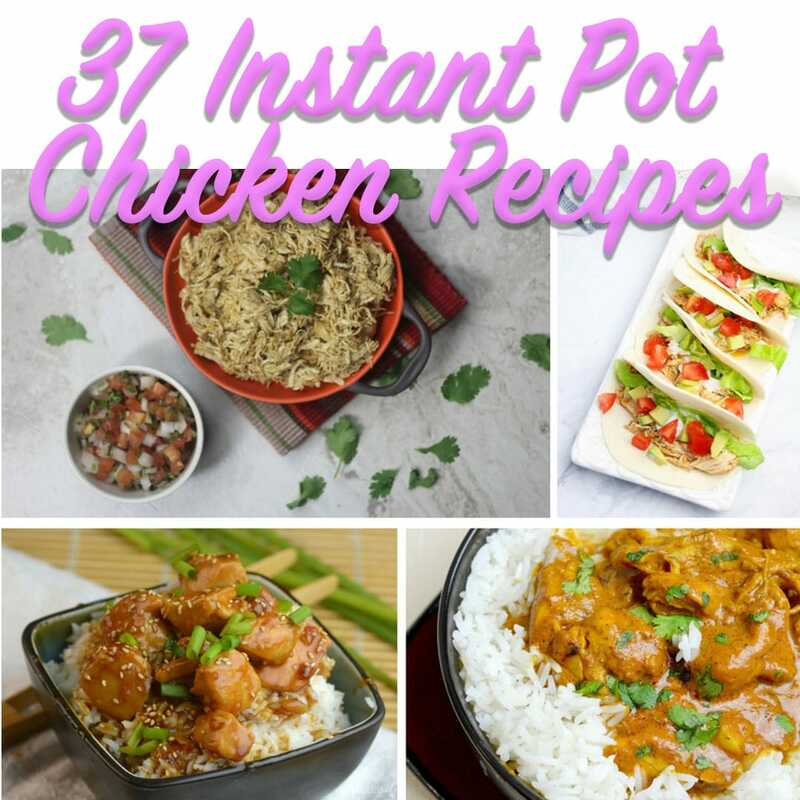 Thanks for stopping by to check out these 36 Instant Pot Chicken Recipes, and if you are looking for more recipe roundups, you can check here. There are a few really amazing ones, especially if you have picky eaters!